Rant aside, I actually loved the movie that showed up. This film is based on Kim Barker’s novel “The Taliban Shuffle: Strange Days in Afghanistan and Pakistan,” which chronicles her time in a war zone as a reporter for the Chicago Times. Directors Glenn Ficarra and John Requa (Crazy Stupid Love) do a fantastic job of bringing these characters to life and really adding substance and heart to a film billed as purely comedic. While most of the funny parts are shown in the previews, there are other laughable moments of the film. What isn’t advertised is how sentimental the film is. 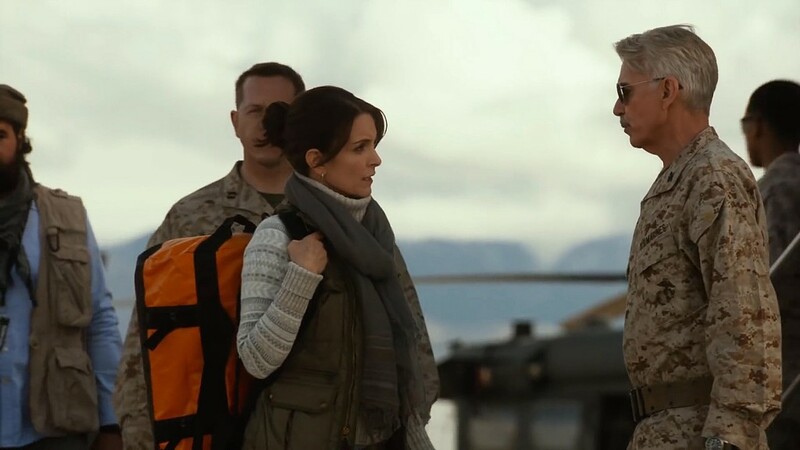 Tina Fey plays reporter Kim Baker who volunteers to leave her grounded life and travel to the front lines of Afghanistan- mainly because she’s expendable. Yeah, yeah she has a boyfriend (played by the handsome Josh Charles), but it’s a husband and kids that make you whole, people! It’s a huge undertaking and it’s clear when she arrives that she’s in over her head. Not only has Kim never reported from the front lines before, but she’s a woman in a male dominated country and she doesn’t speak their language. Luckily for her there’s a team of people to help her find her place. Margot Robbie plays veteran reporter and blonde bombshell, Tonya, who works for a different news outlet. She shows her the lay of the land and helps her realize that whoever she thought she was is gone- this is home now. Billy Bob Thornton does a phenomenal job playing the Marine commander in charge of the troop Baker tags along with. Fey and Thornton’s chemistry is charming. Additionally, Baker has a team of men keeping her safe and a few trying to win her heart. She’s got a security guard and an Afghani translator (Chris Abbott from Girls). 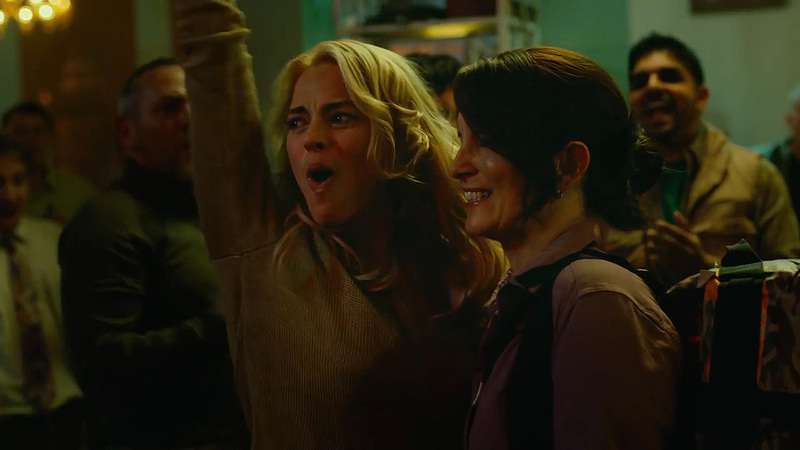 Abbott’s friendship with Fey onscreen is one of my favorite parts of the film. It’s really a genuine thing that organically grows over the course of the film. Alfred Molina plays an Afghani official who is more interested in getting to know Baker personally than professionally. He does an incredible job in the role. But the standout gent is Martin Freeman (Sherlock), who plays Iain MacKelpie, Baker’s eventual love interest. The scenes between the two of them are both comical and touching. The movie was a real treat that I wasn’t really expecting. I wasn’t expecting to walk into a movie that showed the realness of wartimes. I didn’t expect to see friendships and relationships grow together and fall apart in such a raw way. And while I thought I was walking into a Tina Fey comedy, what I got was so much more. This is a smart, funny and touching film that you should definitely make time to go see. This entry was posted on Wednesday, March 2nd, 2016 at 11:37 am	and is filed under Film, News. You can follow any responses to this entry through the RSS 2.0 feed. You can skip to the end and leave a response. Pinging is currently not allowed. Smiddy won't be coming tonight. His head was bitten off by a tank of ill-tempered mutated sea bass.